North Carolina teacher pay could reach the national average in four years if state lawmakers approved his newly-unveiled budget proposal, Gov. Roy Cooper’s office said Thursday. Cooper, a Democrat, announced the details of his second proposed budget just days before more than 10,000 teachers are expected to rally in Raleigh, coinciding with the return of the N.C. General Assembly to session. 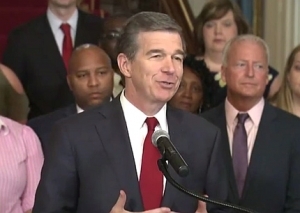 The governor’s plan sets aside $98.7 million for teacher raises, guaranteeing at least a 5 percent raise for all teachers in 2018-2019, Cooper said. The new investment would come on top of $270 million already budgeted for teacher raises. According to his office, his plan would allow average teacher pay to meet the national average—which is projected to exceed $60,000 this year—in four years. Cooper’s budget would also restructure the teacher salary schedule, creating an annual step salary plan that was discarded by legislators after the aughts. Today, the state’s salary schedule tops out at 25 years of experience and includes plateaus at various levels. Teacher advocates have been critical of the salary scale’s structure, pointing out as well that recent pay raises approved by lawmakers slighted the state’s most experienced teachers. The N.C. Association of Educators, which advocates for teachers at the General Assembly, commended Cooper’s plan. Cooper’s budget will inspire public school advocates, but is unlikely to move the Republican-controlled state legislature, which rebuffed Cooper’s spending plan last year. Lawmakers say they’ve already agreed on a spending goal for the upcoming budget as they return for their “short” session next week, a step that should speed a process that’s often broken down on major differences between the House and Senate plans. Cooper’s plan would also spend another $11.3 million on a new principal salary schedule that offers annual step increases and offers a supplement based on school size. 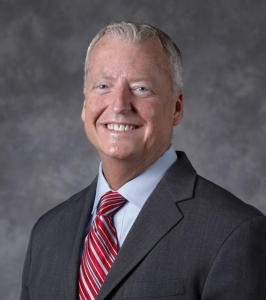 Lawmakers began re-configuring the principal salary structure in recent years after principal pay descended to the bottom of the nation in national rankings. Cooper’s budget would spend $75 million in lottery cash to assist local districts in meeting facility needs spurred by lawmakers’ order to slash elementary class sizes. While legislators alleviated many of districts’ concerns about the controversial class size mandate this year, Cooper and school district leaders complained that the legislature’s resolution offered no aid for districts that would need new classroom space. The plan would allocate $40 million to districts to meet a much-bemoaned shortage of school nurses, counselors, psychologists and social workers in school districts. Another $10 million would be spent hiring new school resource officers, a boon to those who want to see more secure schools after a deadly Florida school shooting sparked new calls for reforms this year. It’s not likely to please everyone. Policy Watch wrote about myriad concerns with increased SRO presence in schools, including the school-to-prison pipeline and the criminalization of school discipline. The plan would allocate $25 million to boost funding for textbooks and digital resources. This is a top priority for school district leaders who say state funding in these areas has fallen woefully behind since the recession. Well Sadie I’m sure what you say is true but believe me where I work for the state I know hundreds have not received the kind of raises you are talking about. In fact we only get what little the state gives us in the budget. This retooling” or “restructuring may happen here but it is only for a select few that are management favorites or “pets”. I have worked for the state over 20 years and teachers have consistently received better raises them me or others I work directly with. Now I am not saying you or teachers in general don’t deserve to be paid but we all in fact should be. I read so much about teacher pay and little to nothing about minimum wage or even other state employee salaries. I blame a lot of it on the push to lower taxes across the board. Those with money, being people and corporations should pay their fair share. None of this really matters because the House and Senate will completely ignore the governor budget proposal and do what they want to. Just like they did last year. The longevity pay trick was not right but they did restructure teachers’ pay to make up for it. Another thing you never hear about is the salary supplement that teachers get form their district they work in. No other state employee I know of gets this extra pay. Funny thing is I never see the salary supplement mentioned when talking about teachers’ pay.